Looking to freshen up your home? On the hunt for a unique piece that will make your room stand out? 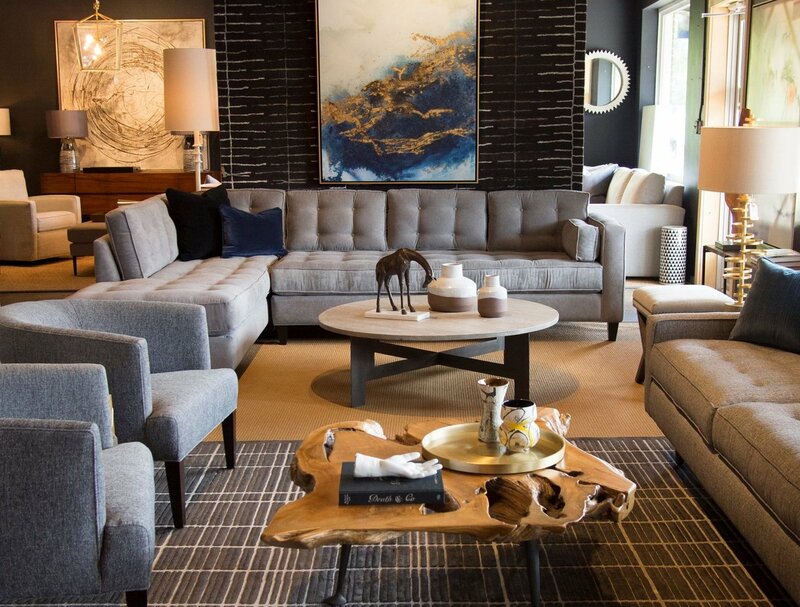 Here’s a list of 13 of the best furniture stores in Charlotte. Located in Plaza Midwood, Slate Interiors is a multi-merchant furniture and art store. They feature over 60 artists and merchants and their inventory changes daily. It’s a great place to find unique, one-of-a-kind pieces that will make your home seriously Instagram-worthy. In Charlotte since 2000, City Supply Co. offers a mix of unique classic and modern home furnishings. You can find furniture and art as well as lighting, rugs and smaller home decor. Their Plaza Midwood showroom is gorgeous. I’m ready to move in there. 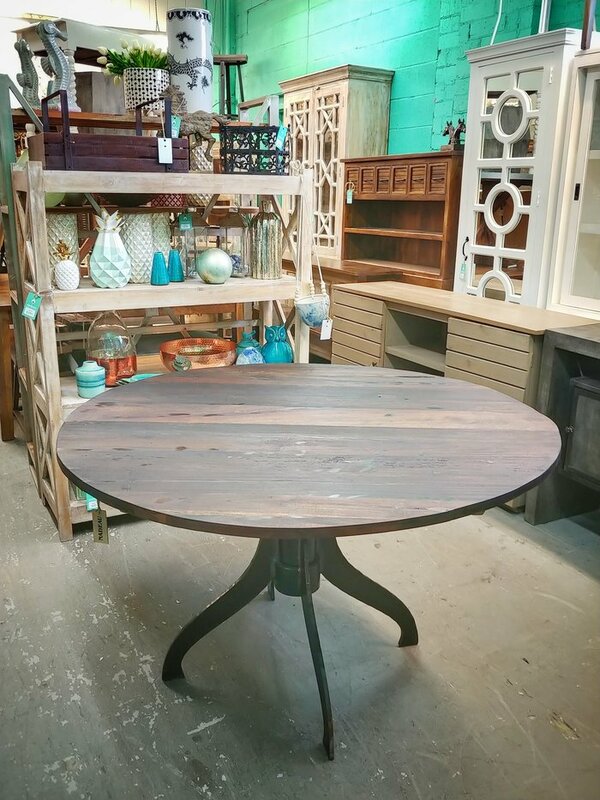 Located right off South Boulevard, Nadeau is a packed full of unique furniture finds. Their showroom can be a tad overwhelming because the furniture is literally stacked on top of each other but it’s definitely worth a browse. Plus, their pieces are relatively affordable. 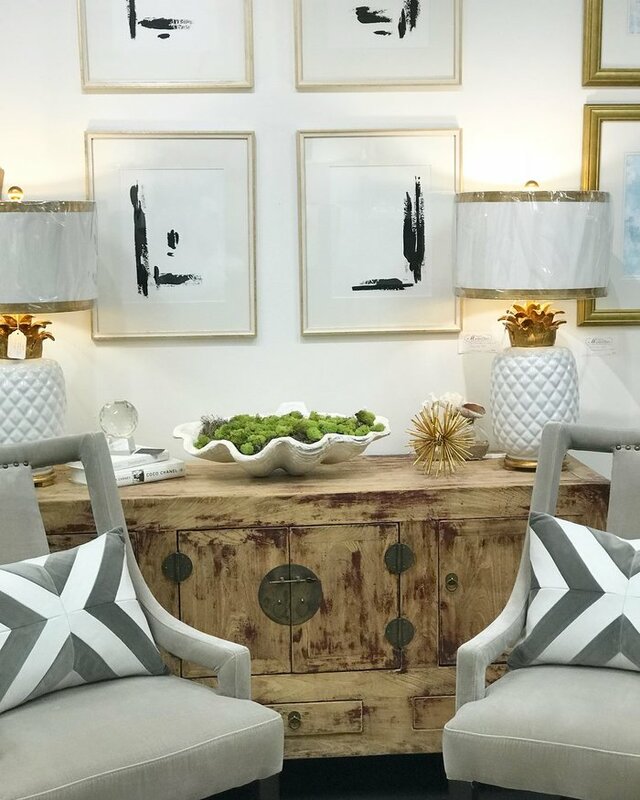 Cotswold Marketplace is a go-to spot in Charlotte for furniture and home decor. They feature over 50 merchants in their 8,000 square foot space. This retail design center is a favorite among Charlotte interior designers, so you know it’s the real deal. Oh, and they are pet-friendly. This store recently opened in SouthPark and every time I walk by I see something I love in the window. 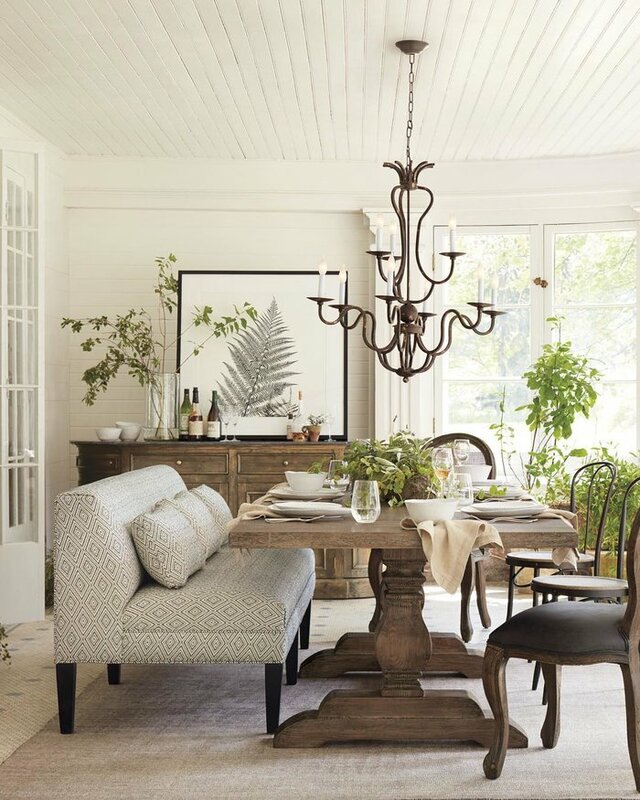 You can find everything from transitional to modern to vintage-style furniture pieces. Their product developers travel the world and work with skilled artisans to craft unique items exclusive to Arhaus. This high-end furniture gallery has an impressive offering of furniture, lighting, rugs, hardware, decor and art. You can find a mix of timeless pieces, updated classics and modern items. I’ll warn you now – their showroom is beautiful and you may not want to leave. 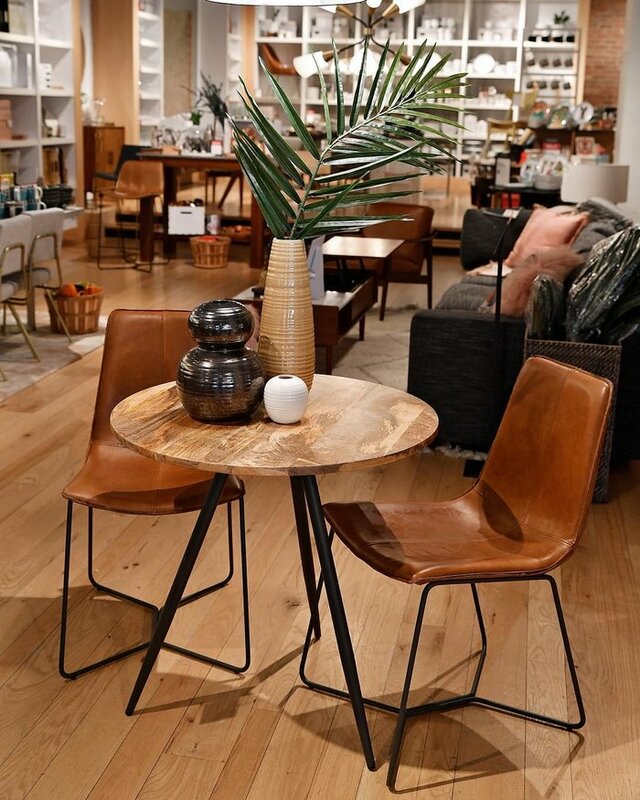 Ever since West Elm joined the retailers at The Metropolitan, it’s been a hot spot for furniture shoppers. You can get a taste of their modern design aesthetic by taking a stroll through their showroom, where they also offer free design consultations. 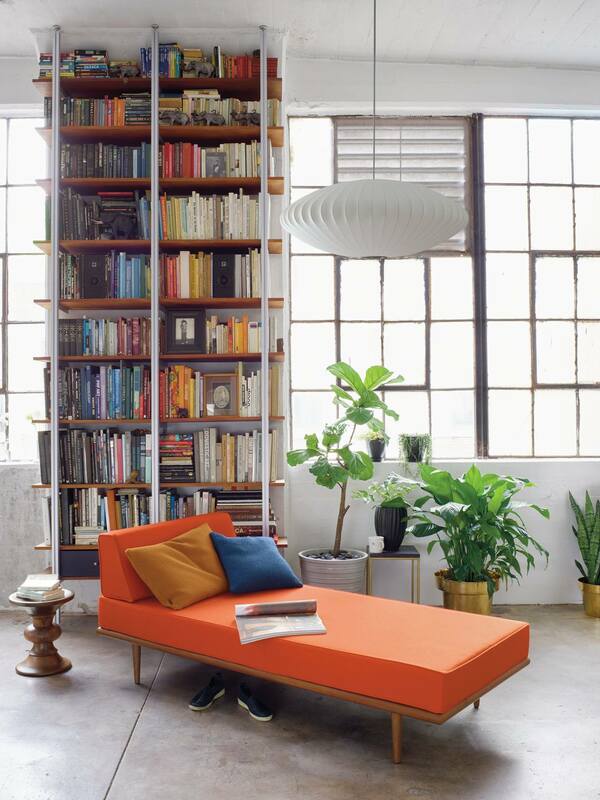 I bought my sectional from here and love it. 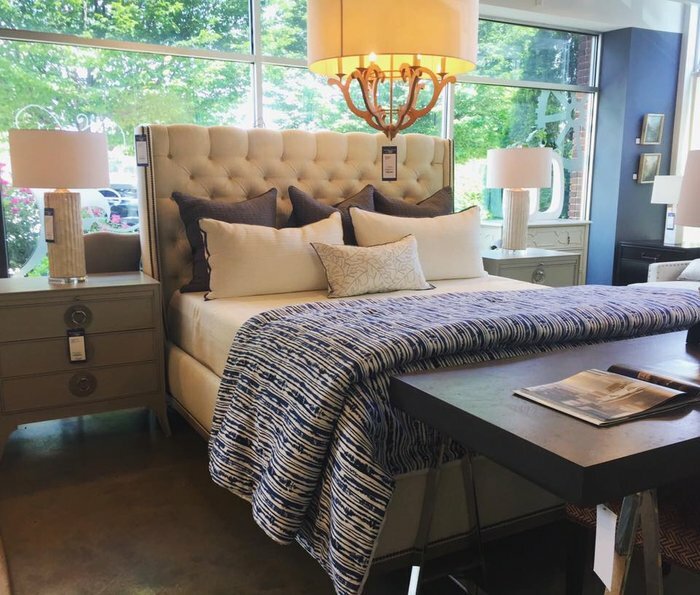 Located in South End, this 7000 square-foot showroom showcases pieces from Vanguard Furniture, a family-owned business manufactured out of Hickory, NC. 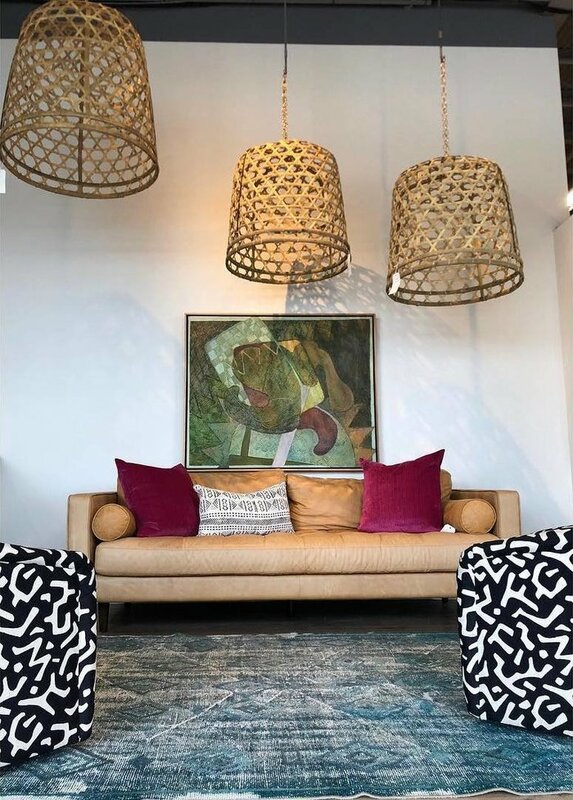 Along with transitional and contemporary furniture pieces, you’ll find lighting, custom rugs, decorative accessories and original artwork from local artists. They even offer in-home design services. 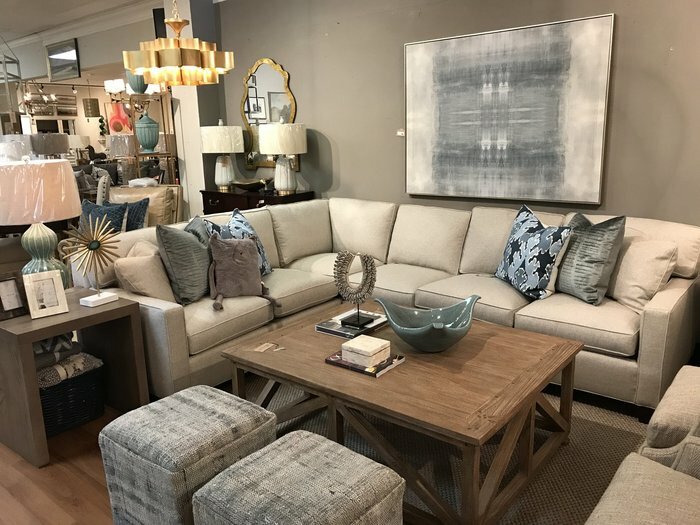 Boasting 7,700 square foot of furniture, home accessories, and artwork, Traditions has been in Charlotte for over 25 years. In addition to selling furniture and accessories, they also have an experienced team of interior designers who can help transform your home. Specializing in authentic modern furniture, Design Within Reach is the place to go if you love clean lines and simple design. Their South End storefront features pieces from Herman Miller, HAY, Vitra and other big names in modern furniture. 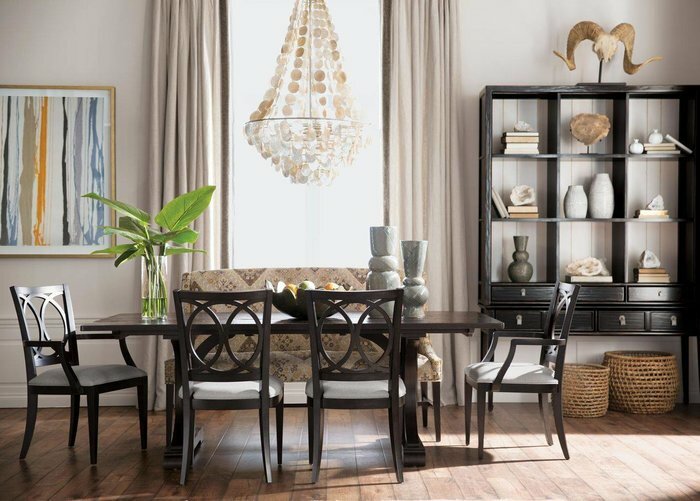 For decades, Ethan Allen has been a big name in the furniture industry, and for good reason – their pieces are high-quality and beautifully designed. Their Pineville showroom offers a mix of classic and contemporary. Plus, they have a huge design team to help you find and customize what you’re looking for. 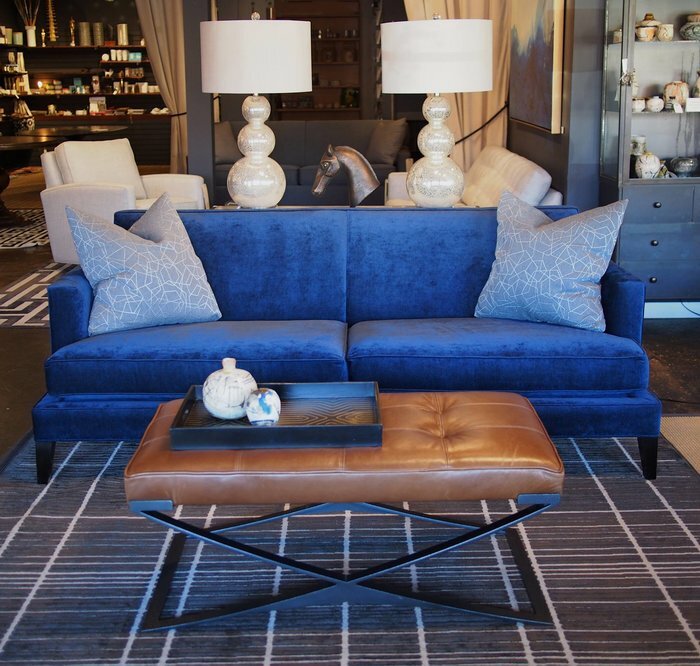 District 5 Interiors specializes in quality, casual lifestyle furniture and accessories. 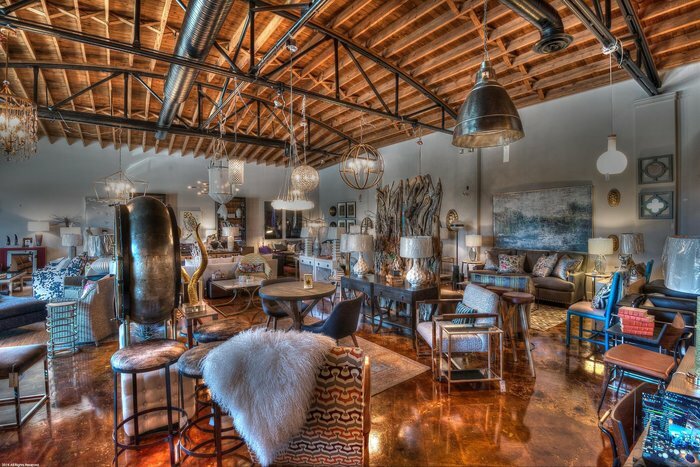 Their showroom is an eclectic blend of transitional, industrial and mid-century modern furnishings. The owners of District 5 Interiors also happen to own Details Home Boutique in Park Road Shopping Center. Owned by carpenter Shawn Weathers, Brown Dog Wood Co. is known for their one-of-a-kind, handmade wooden furniture. Each piece is primarily crafted from repurposed material and if you don’t find what you’re looking for in the shop, Shawn can create it custom. All photos are via each furniture store’s website or Facebook. Header photo via City Supply Co.